Of Springtails and Such...: CDC: Thanks for Paying Attention to What Really Matters.....PLEASE. CDC: Thanks for Paying Attention to What Really Matters.....PLEASE. Ok. 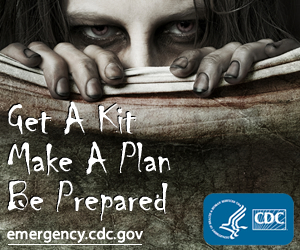 I guess that I've been out of the loop for a bit, or was, at the time the Centers for Disease Control, decided to spend taxpayer dollars on a potential "Zombie Apocalypse." While I know that rabies, and other viral infections can cause the human population, when infected, to go "insane," and act cannibalistic, and rabid like the dog "Cugo," I have to ask this question, because inquiring minds wanna know, "Why spend Americans' hard earned dollars on a world-wide craze, when Morgellons, and real illness is unfortunately the 'rage'?" Real people are really sick, and need help NOW. The zombies can wait. Hell, they're so slow moving anyways that I'm sure we have time to address the real issues at hand. WAKE UP CDC. Perhaps you all are the ones in a coma, zombie-land. The following was extracted from the CDC website amazingly enough. Buttons and badges share health messages and information about campaigns and causes online. These graphic elements can be posted to any web site, blog, social networking profile, or email signature and link users to more information.